Yet another substantial indie rock proposition from the '90s that passed me by at the time. 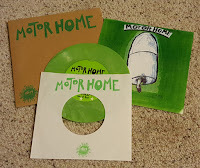 Motor Home (which I've also seen spelled as a single word) were a trio of co-ed Chicago kids who were adeptly in tune with the aesthetic of the time. Side A, "Whole In My Head" is female fronted, wielding a comparatively mellow, but dynamic vibe sporting shades of the Spinanes and early Lilys, but not overly derivative of either. The flip, "Sugarlow" is considerably noisome and aggro, pounded out with the fuzzy, distortion-addled fury of contemporaries Monsterland, taking a good five and a half minutes to finish off the listener's sizzled nerves. The packaging for this one was unique and went way above and beyond what's normally expected with your typical pic sleeve 45. 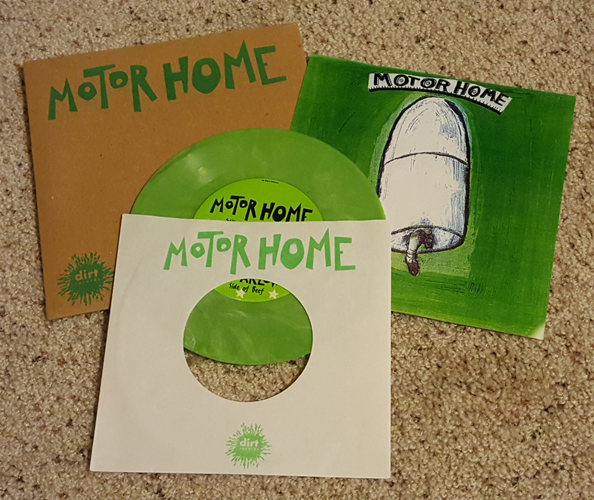 Motor Home were also responsible for an album around the same era that I anticipate getting my hands and ears around soon.